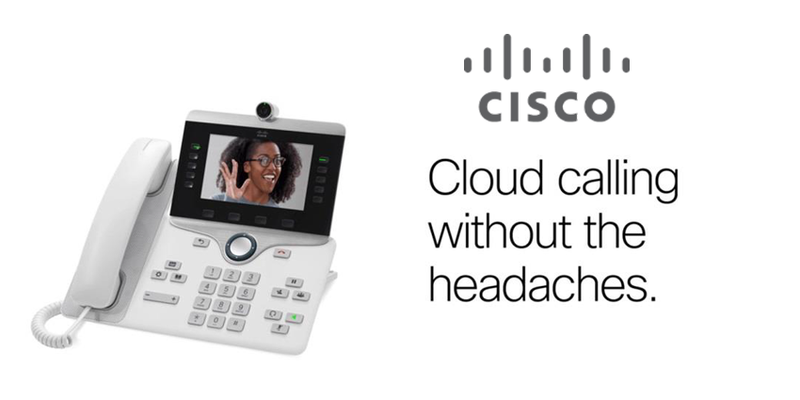 My Home → Unified Communications → UCaaS → Is UCaaS Still All About Features and Functionality? The market for UC as a service is growing at a phenomenal pace. As companies from every vertical recognise a demand for agile and versatile communication solutions, UCaaS has emerged as the ultimate solution for future-proof connections. Research published by the Synergy Research Group suggests that the UCaaS market is seeing an annual growth rate of 29% at present. But what will be the catalyst necessary for continued growth in the years ahead? As we move into 2019, are the underlying elements responsible for UCaaS’ popularity changing, or are companies still in search of the same features and functionality? To get a better insight, I spoke to Rob Pickering, CEO for one of the most agile and disruptive companies in the Cloud Communications industry, IPCortex. What’s Driving Growth in the UCaaS Industry? According to Global Market Insights, the market for Unified Communications will be worth $96 billion by 2023, and the demand for “as a service” deployments is growing just as rapidly. As the sector involves with new providers, increased consolidation and transformative trends, I was keen to find out whether Pickering considered features and functionality to be the leading driver for UCaaS purchases. According to Rob, implementing the latest tools and feature sets in the modern business isn’t enough to drive true transformation today. Going forward, companies will be looking for UCaaS vendors and resellers that can give them both the right product, and the correct path to adoption. IPCortex is a company that sells solutions through channel partners, with all deployment models available, including UCaaS (simple and multi-instance), on-premises, and hybrid. This company believes that the reseller community has a significant part to play in the continued growth of the UCaaS sector. Pickering told me that resellers capable of going the extra mile to show their customers how their technology can solve their problems will be the ones that come out on top. According to Rob, while vendors are less likely to address the specific needs of each individual customer, resellers are in a unique position to offer an enhanced and more intimate customer experience. IPCortex feels that resellers will be essential to the future of UCaaS adoption because they provide companies with the trusted advisor they need during periods of digital transformation and new UC deployments. It’s not just about ticking boxes; it’s about delivering long-term value for end-customers and resellers alike. How Can Resellers Maintain This Consultative Approach? To act as the driving force in the UCaaS market, resellers may need to undergo specific changes in their business plans and strategies. Although Oracle tells us that 86% of buyers will pay more for enhanced brand experience, resellers will first need to make sure that they have the margin to support a consistent consultative approach. IPCortex feels that resellers have a unique value-add to bring to interactions with customers. By working with the solutions that they sell every day, resellers have a unique overview of the potential that the technology has, and how it can solve specific customer problems. Together, resellers and vendors can provide both the features that their customers need, as well as the guidance and support that companies are searching for as they move towards digitally transformative changes in their technology stack. IPCortex is just one of the many companies in the communications market that can see a bright future ahead for the UCaaS space. However, as Pickering revealed in our discussion, the business also feels that resellers are a valuable middle-man in ensuring the adoption of new technology. As new functionalities and features make their way into the marketplace, it’s essential for companies to have the support they need to adopt these solutions and unlock their real potential. By working with vendors that share the same view, resellers can ensure that they’re equipped with holistic propositions to offer their clients, which include everything from features to value-added services, and all-important contextual support. Resellers undoubtedly play a critical role in helping end users fully utilise and take advantage of the latest features and functions available so it’s great to see that vendors are supporting the reseller community to achieve this. Digital Transformation: Save Now - Pay Later?